In 2012, restoration began on three 200-year-old log structures located on the farm. Located in the beautiful Shenandoah Valley near the Staunton interchange of Interstates 81 and 64, this property will be used as an agribusiness. Guests visiting the area will be able to stay on the farm, dine here, experience the lifestyle, and participate in daily activities and scheduled events. 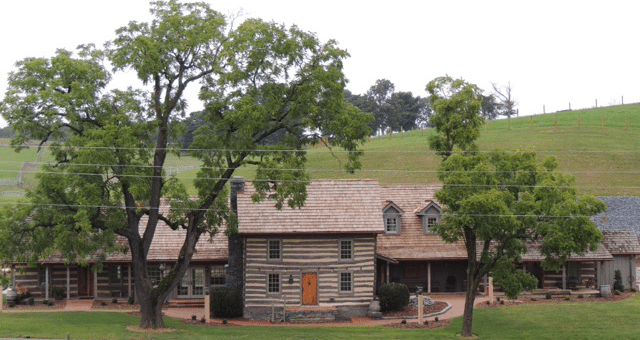 The Inn centers around the original two-story log structure built on our farm circa 1820 and two additional cabins circa 1795, which were moved and reconstructed. Each historic structure is currently being appointed with modern amenities that will make your stay as comfortable as it is charming.